Marion Gerrard, John Wallace, Danny Brown, Mick Hind, Joe Roberts, Craig Ashley, Beau Ashley and John Gerrard are pictured in the Staveley Memorial Garden when Joe presented the cyclists with a certificate of recognition. 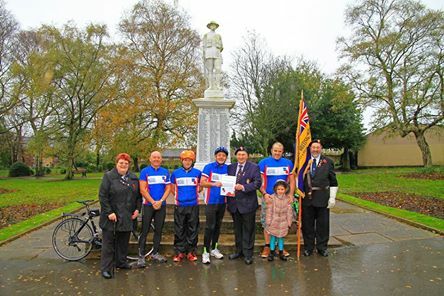 A sponsored ride visiting 145 graves and Memorials to plant a wooden poppy cross on each raised over £1,600 with Beau contributing £80 from a stall at the Armed Forces Event. 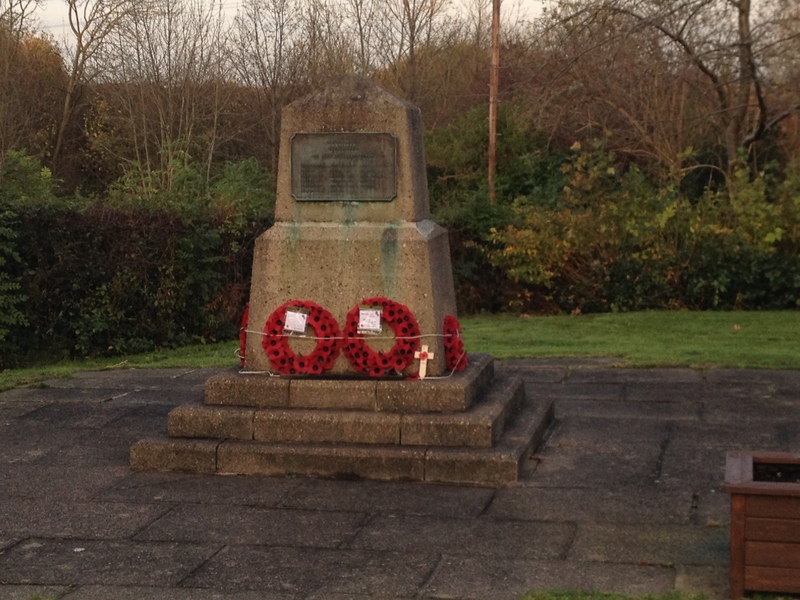 The total amount has been contributed towards the Royal British Legion Staveley and District Branch Poppy Appeal. 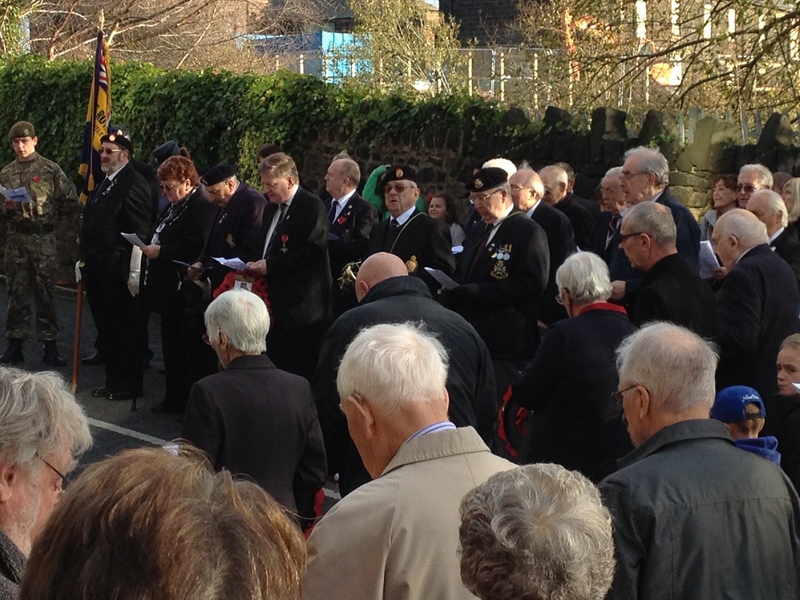 Marion and John provided back up for the group when they paid tribute to some of those who fell in WW1 from the Chesterfield area. Thanks also to those who were unable to attend the presentation. YOU DID NOT FORGET. 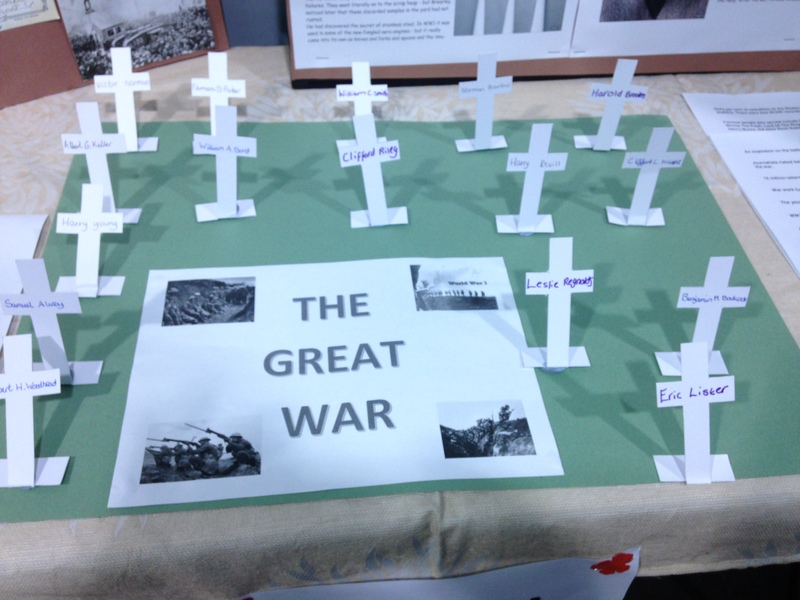 Members of the Staveley Remembrance Association committee and the Staveley branch of the British Legion were guests at a presentation by Year 7 Netherthorpe School pupils who have been taking part in a week of WW1 related studies. 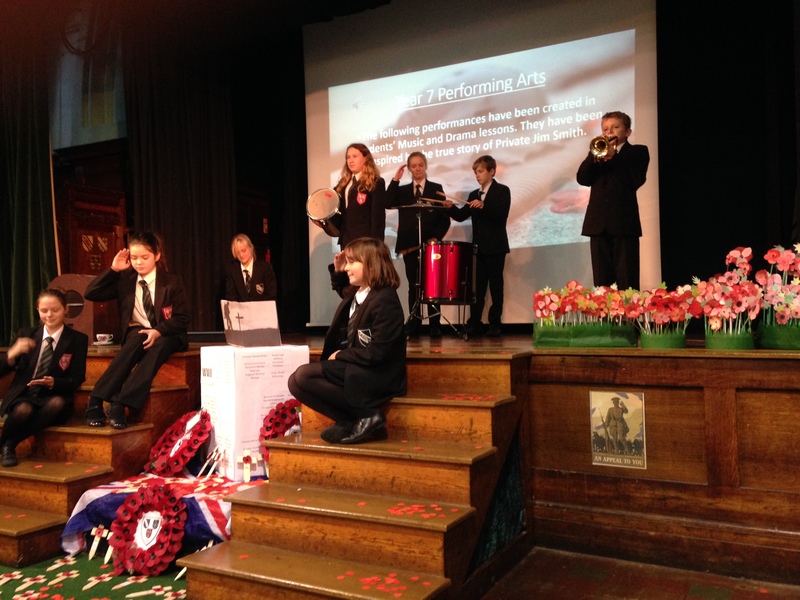 Pupils displayed the results of their research into the lives of former pupils and performed music, poetry and drama inspired by soldiers letters. 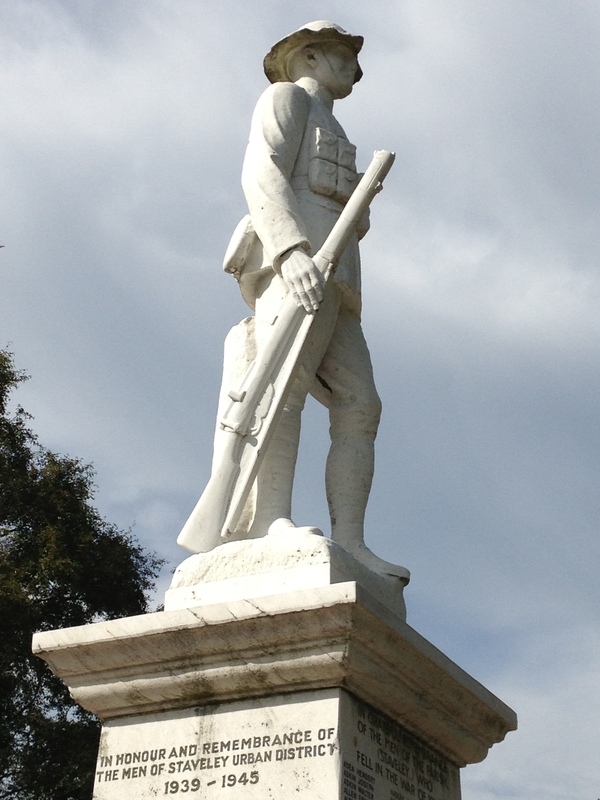 After about 70 years, “Tommy’s” bayonet has finally been repaired! Local legend tells of it being broken by a youth, sometime around the 1940s. Some say that he threw a snowball, others say that he was playing hoopla. Do you know the true story? Please get in touch and tell us. 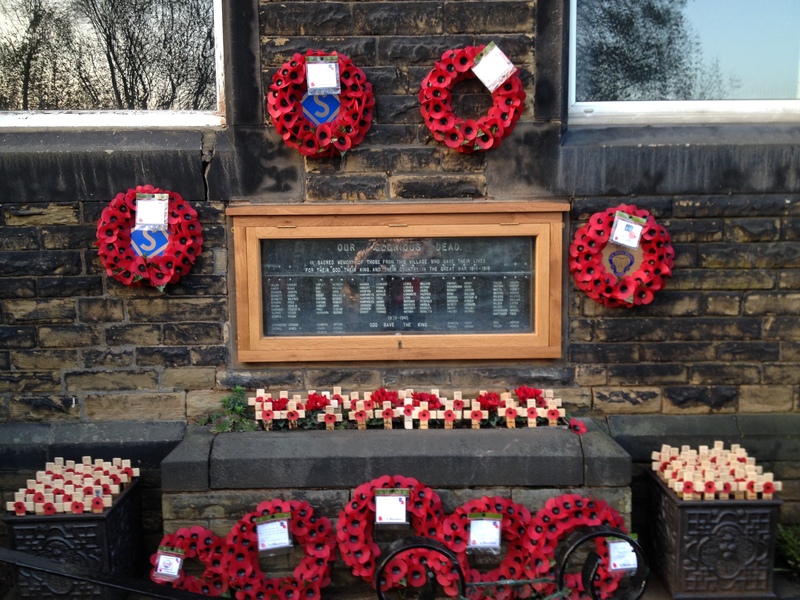 Barrow Hill Primary School Remembrance assembly at St Andrew’s Church. 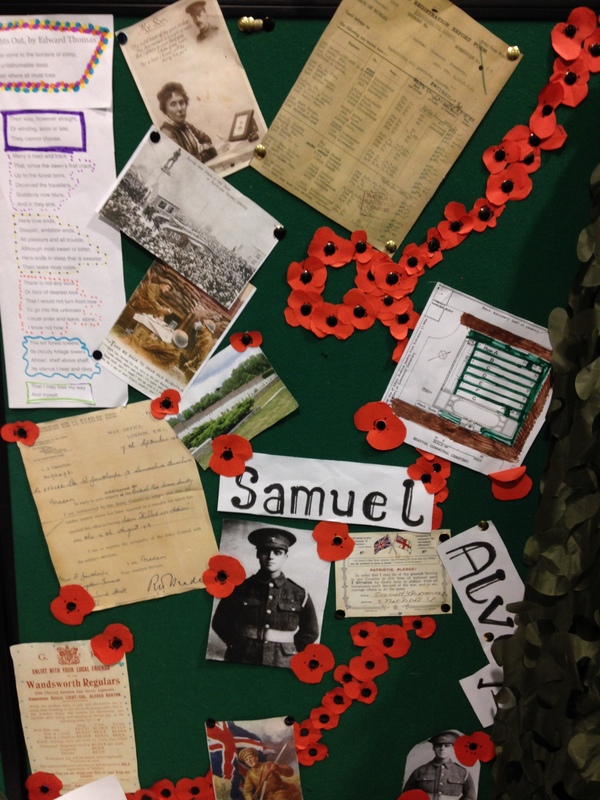 The children have recently been finding out about the men on the village war memorial. 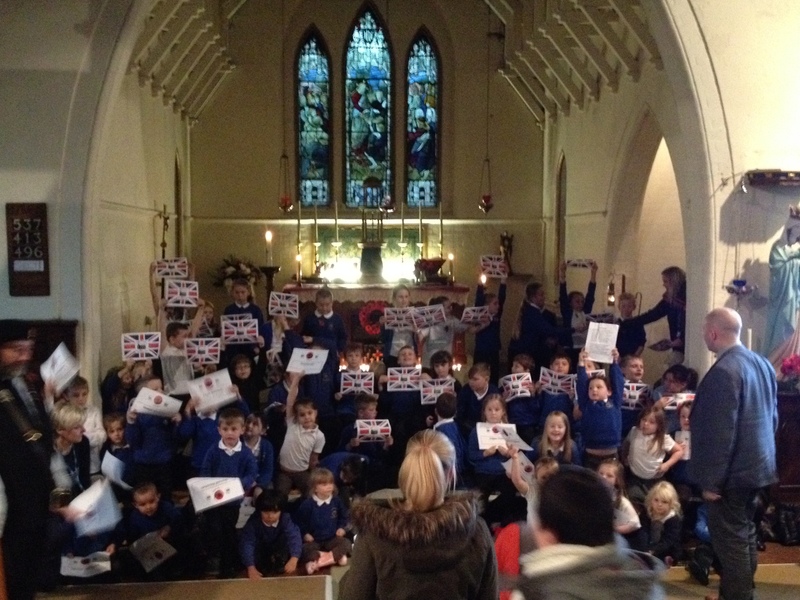 They shared their discoveries with parents, invited guests, local residents and representatives of the British Legion. 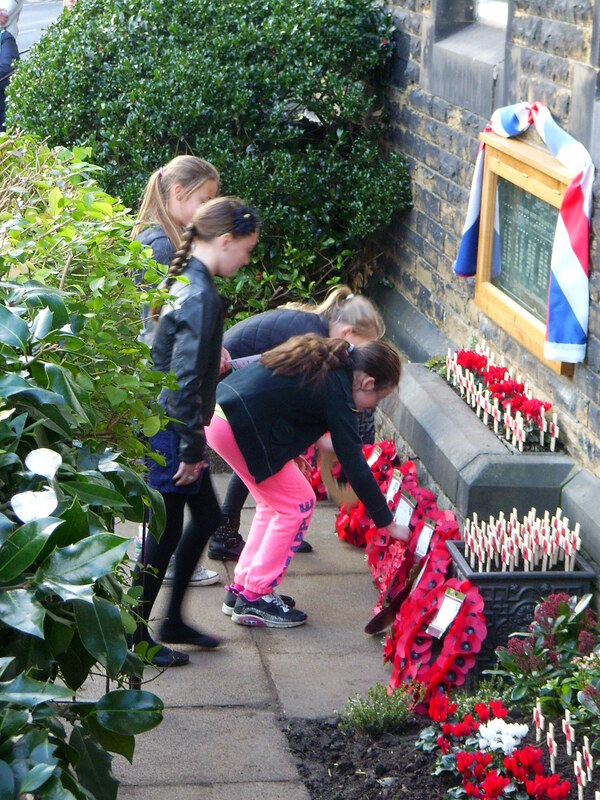 The Netherthorpe School citizenship group have been assessing the condition of the Staveley Garden of Remembrance. 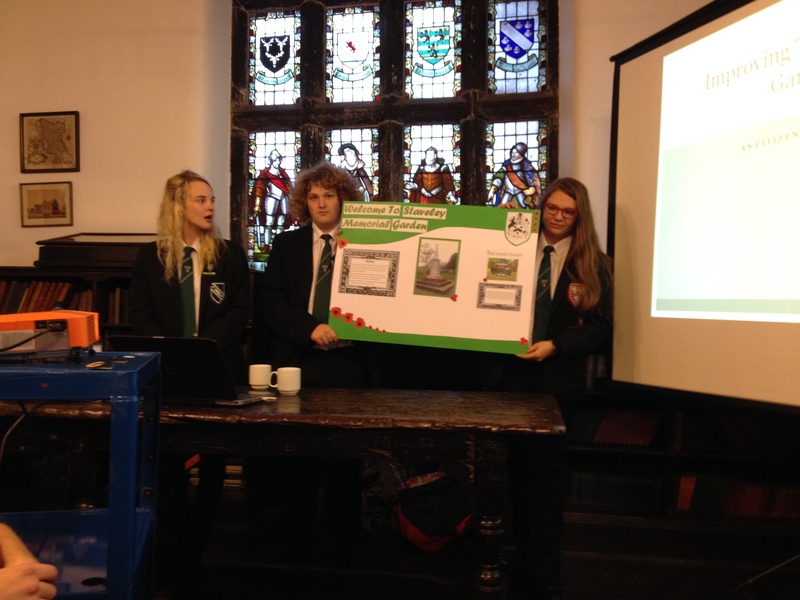 They are pictured here presenting their findings to a meeting of the Staveley Remembrance Association committee who are hoping to work with local groups to improve the Gardens in time for the 2018 centenary of the Armistice. 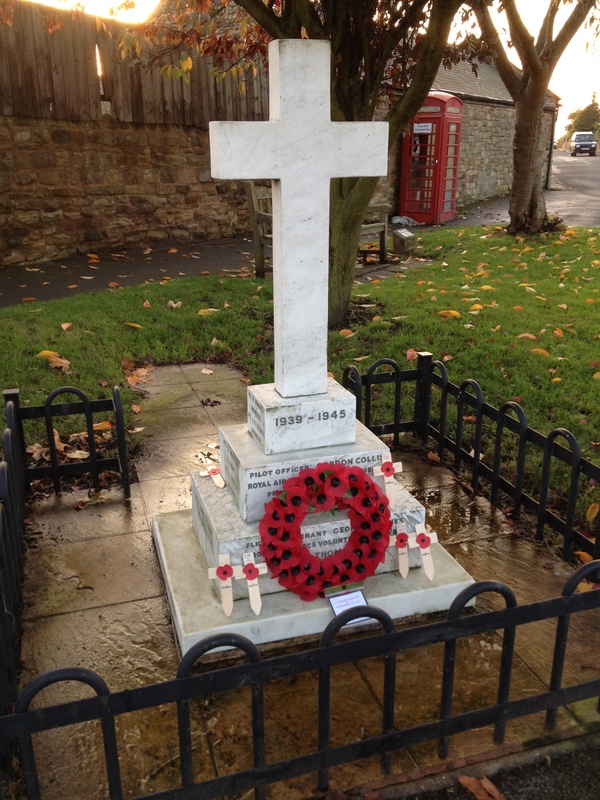 The newly refurbished war memorial and garden at Barrow Hill were rededicated at a special service on Sunday 2nd November. 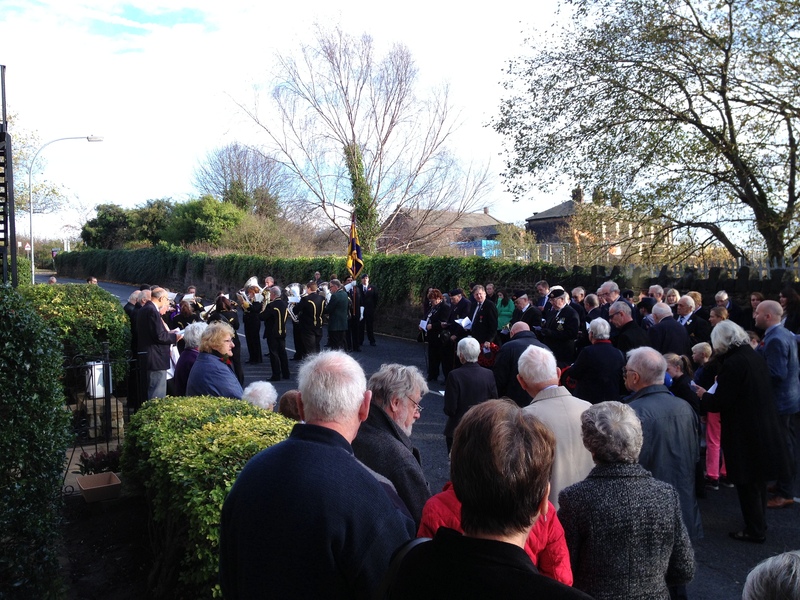 The parade was led by the Cresswell Colliery Brass Band and the service was conducted by the Rector of Staveley, Father Stephen Jones. 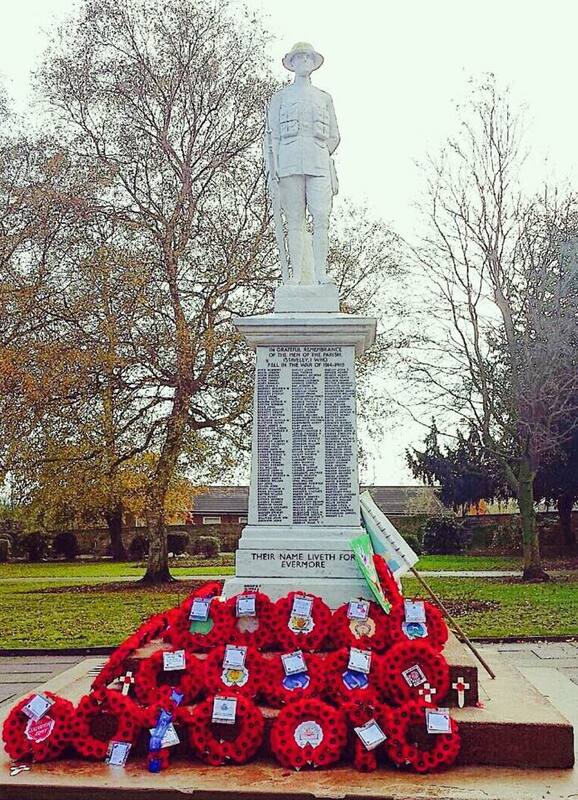 Wreaths were laid by representatives of service organisations, local community groups and relatives of casualties. 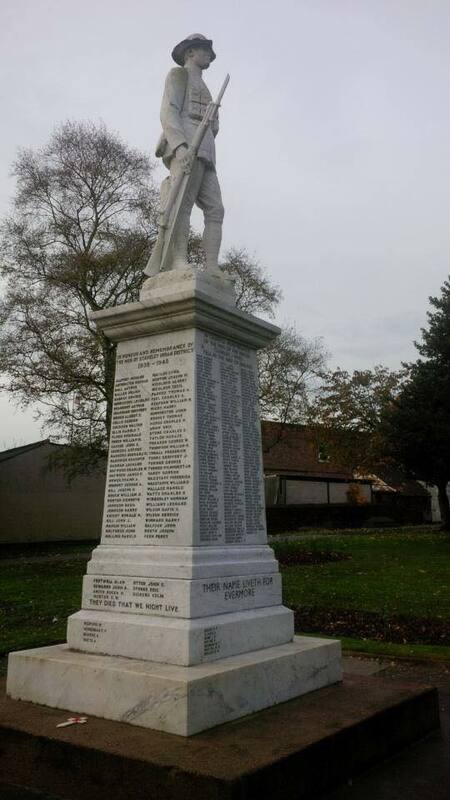 Private William Thomas Newman 1st Bn., Cameronians (Scottish Rifles) who died 100 years ago today on 02 November 1914 and who is buried in the Trois Arbres Cemetery at Steenwerck. He was the husband of Rebecca M. Newman, of Ivy Bank, Pipe Lane, Staveley.